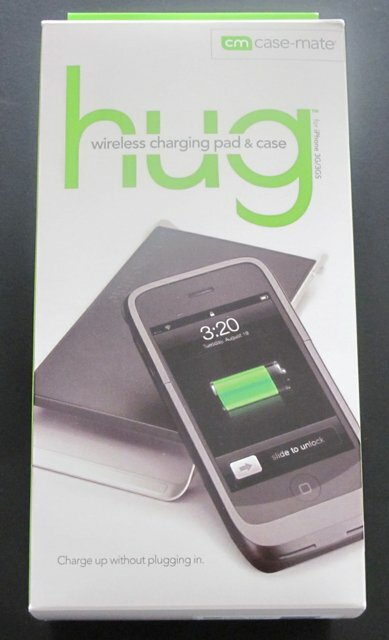 Good-bye Case-Mate Hug Wireless Charging System for the iPhone; We Hardly Knew You! Happy Friday! I know that you covered the case-mate Hug for the iPhone so I wanted to give you some news on its availability to consumers. Case-mate is proud to deliver innovative, self-expressive products to the marketplace every day. We strive to make each and every product fit into our overall strategy and vision. The case-mate Hug for the Apple iPhone 3G and Apple iPhone 3GS is a product we launched with success – sales and product performance have met expectations – but for business reasons we have decided to stop production and sale of the product starting today. However, we are pleased to let you know that, as we have always planned, we will indeed bring additional Hug models to market that support a variety of mobile devices, including most BlackBerry models, as well as a Hug that supports multiple devices simultaneously. As stated, the current Hug for the Apple iPhone 3G and Apple iPhone 3GS is performing well, so consumers can still use the product as they see fit; however, going forward, the product will not be part of the case-mate product line-up. Sorry for any confusion and I do hope that you’ll be interested in testing out other case-mate products, and future Hug models, in the future. And then Larry got the same email! How can it be that Case-Mate is already discontinuing their recently introduced (and immediately reviewed by us) Hug Wireless Charging System for the iPhone? Incredulous, Larry sent a Direct Message to Case-Mate on Twitter to get direct verifification. Their response? It’s funny because my first thought was why would they cancel the iPhone model Hug, and yet continue making the Hug for any other phone? The iPhone is one of the most popular phones in the world, and its users are rabid accessory hounds. Trust me, I know! It makes no sense … unless. Maybe they know that the Hug won’t fit the 4G, and they are discontinuing production and sales on this model so they can concentrate on the next version? Or maybe they have something else up their sleeve for the iPhone; something that will look even better and add even less bulk? Whatever the reason, that has to be one of the quickest product runs we’ve ever seen for any accessory. Did you get a Hug before Case-Mate canceled them?